This Chica is muy bonita! 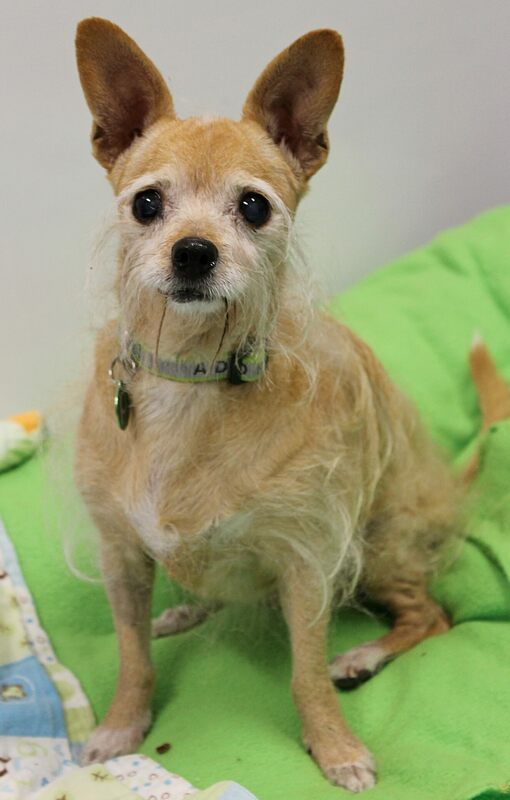 Hi everyone, my name is Chica and I am a 13 year old scruffy terrier of some sort. At about 15 pounds, I am still quite spunky and enjoying going on my daily walks with the volunteers. I am a very curious one, sniffing around at all the sites and sounds. I would be a perfect companion for a short walk in Forest park even! Not to mention that I am a big fan of my doggy friends and would be happy to meet a nice dog friend on the trail as well. I even do well with those kitties too! You might notice that I sometimes stick my tongue out. But don’t worry, it’s not at you. It’s because, well, I pretty much have no more teeth left! But that just means lots of yummy soft food for me and hilarious funny faces for your entertainment. I love meeting new people, but would enjoy a home with kids over 12 since I am a little bit older. Sweet, hilarious and cute, who needs teeth when you have this great of a personality! Fill out an application today, so we can meet. 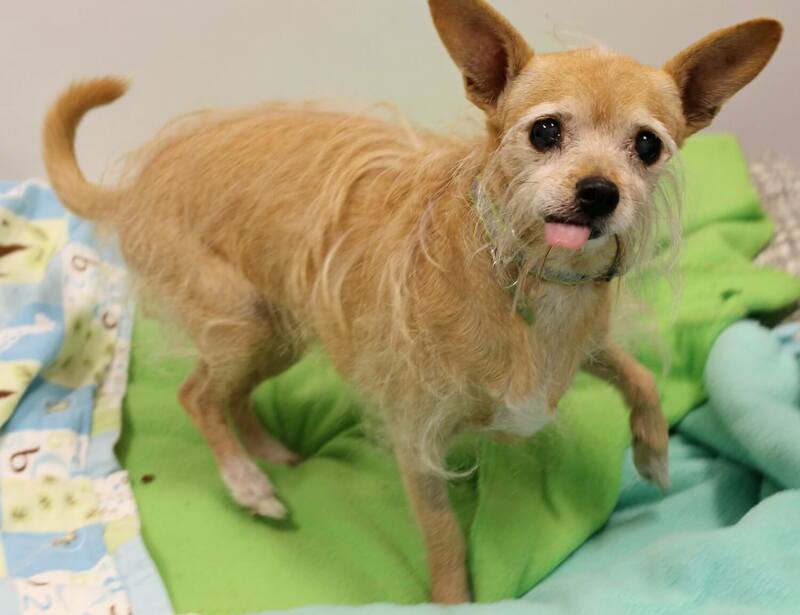 I come to you vaccinated, spayed, micro-chipped with an up to date dental and an adoption fee of $350.